In the side chapel of Ely Cathedral in England, there is a rather polarizing statue of the Virgin Mary. Installed in 2000, it shows the moment in which Mary says yes, she will bear the son of God. Her arms are upraised. She has long, golden blond hair. Her eyes are closed. (You can see a picture here.) Clergy in the Diocese of Ely, where I once served, gathered in that chapel to vest before processing in diocesan events and there were often strong comments about the statue. Mary occupies a curious and disputed place in the Anglican tradition. For some Anglicans, she is “Our Lady” or “the ever blessed Virgin Mary.” For others, she barely figures in their devotion. Some Anglicans choose to celebrate the full range of Marian feast days in the church (the Visitation, the Assumption, the Nativity, the Immaculate Conception, to name just a few) and others none at all. I tend to fall somewhere in the middle of this spectrum. But one day I am always happy to commemorate is today, March 25, the feast of the Annunciation. On this day, the church marks the moment depicted in that statue in Ely Cathedral: when the angel Gabriel came to Mary to tell her that God has chosen her to bear God’s son and—crucially—Mary said, “let it be with me according to your word” (Luke 2:38). The church’s tradition has taught that all of creation waited to see how Mary would respond to this invitation. What if she said no? What if God’s desire to be in relationship with God’s creation in an Incarnate fashion was stymied by a teenage girl? What I like about the Annunciation and what I like about the statue is the way it shows Mary with a clear moment of decision and activity. She is not the passive mother of Christ as she is so often depicted. Instead, she is making a choice that shapes salvation history. In our age of #MeToo and a strong and proper focus on consent and power imbalances in relationships, the story of the Annunciation can sometimes raise concerns. But I think Mary provides a model of what faithful Christian discipleship can look like. Indeed, many of us in this college may have reason to identify with her: we hear God calling to us, calling us to a new role, but we don’t see quite what that looks like. Nonetheless, we hear ourselves saying, “Let it be to me according to your word.” We may not know where we are going but we have faith in a God who is faithful and trustworthy. It’s not to say that Mary’s journey unfolded quite as she imagined. Yours may not be unfolding quite the way you imagined either. You may have found yourself wishing you had said no. But on this day we can give thanks for Mary and the countless other Christians across time who have responded with open arms to God’s call and pray for the grace to continue to do so today. This message was written by College Principal Jesse Zink for this week’s Wingèd Ox, a weekly news digest distributed to the college community. 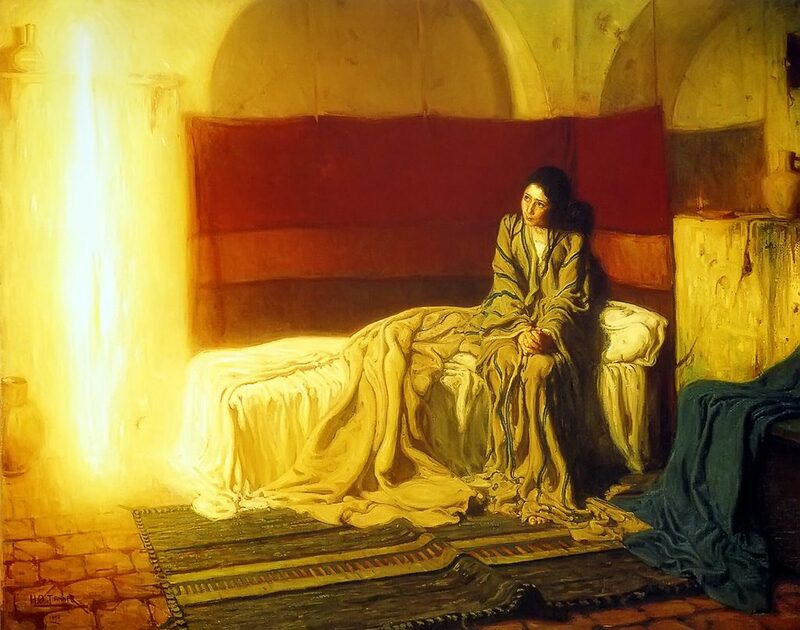 Image: The Annunciation by Henry Ossawa Tanner (1859-1937).